The red chair, which had been his throne in the sand, was empty. It was decorated with a wreath and other flowers that spelled "Cap," which is what the other lifeguards called Roy J. (Dutch) Miller. 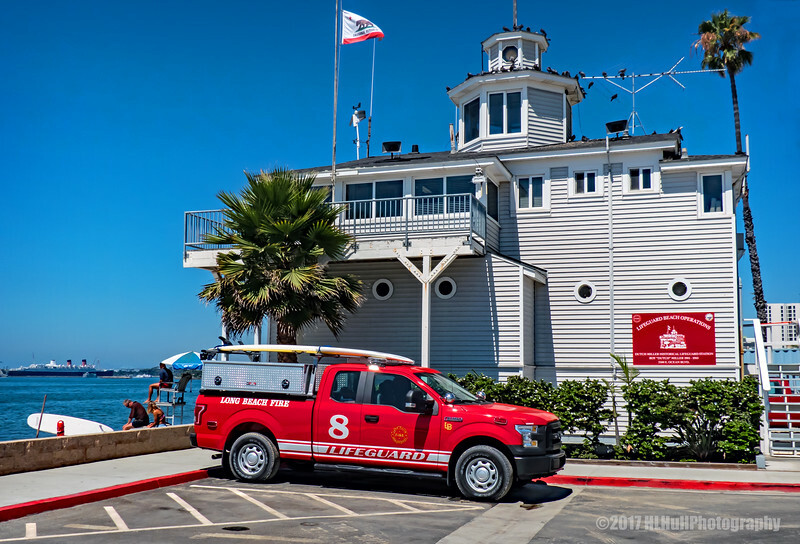 Those who loved him and whom he loved came to a memorial service at the beach Sunday and the reminiscences they shared about the man who was dedicated to saving human life in the ocean brought saltwater to their eyes. The Queen Mary can be seen can be seen in the background . Very colorful setting - well captured. Love all the red here. Very well done! Beautiful! I love the red truck and the other red sporadic details throughout the scene. The weather appears perfect, too!